Hideout Kids presents Trash Critters: When night falls, bellies will grumble! Trash Critters is a hilarious show about nighttime creatures who have lost access to their usual trash cans and must go on an adventure to search out a new place to eat. Kids from the audience will be invited on stage to help the critters as they look for their new source of delicious trash. Each Trash Critters show will be completely new with silly characters, exciting adventures and delightful dilemmas all completely made up on the spot! Tickets are only $5 and babies get in free! Free Preview Show: April 7 at 11 a.m.
Shows Every Sunday: April 7 – May 26 at 11 a.m.
“That was so much fun!” – Kid. “You all are amazing!” – Grown-up. P.S. 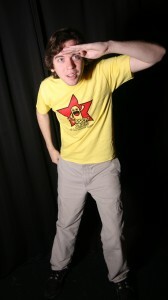 We also offer improv classes for kids! 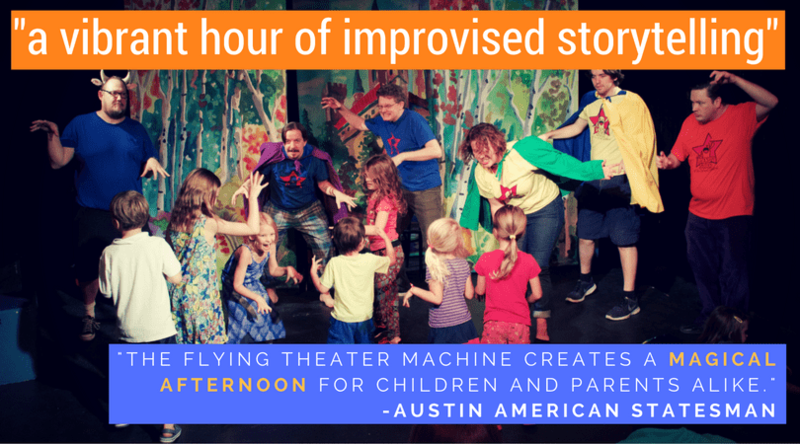 Hideout Kids (Previously the Flying Theater Machine) was named “Best Austin Theatre Group for Kids” by Nickelodeon! Snowball Fight – we’ll have two teams that vie for the affection of the audience. If for any reason you can not afford the ticket price please email Jessica@hideouttheatre.com for free tickets. Please allow 3 days for processing.